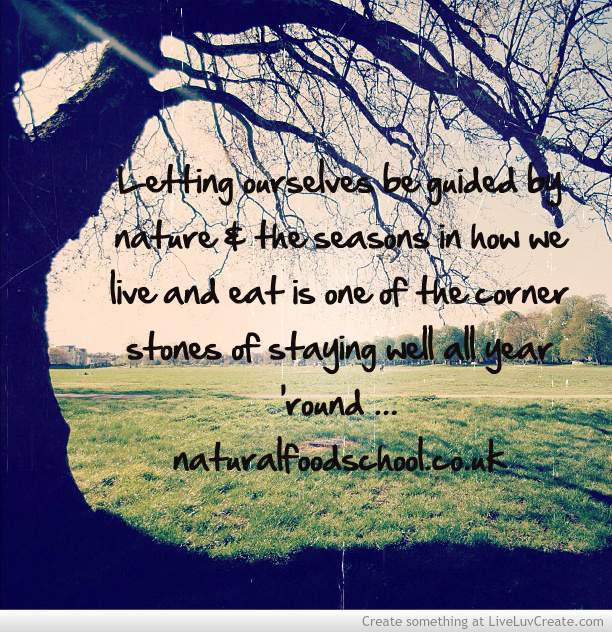 Today’s blog post comes from my lovely friend Carol Lee of The Natural Food School. She is a very experienced Naturopathic Nutritionist with a background in Five Element Acupuncture and writes from the heart about her passion for healthy food. Join her below on a journey through the seasons to find out how best to make the most of the wonderful food that Nature has on offer. You can also subscribe to Carol’s free seasonal newsletter, and get a free A4 chart full of wonderful information. Farmer’s markets, veggie box schemes and sustainability has made the idea of seasonal eating popular. We feel good and virtuous when we come home with a bag of muddy vegetables which we have to scrub before we start cooking. But what if there is much more to seasonal eating than first appears. 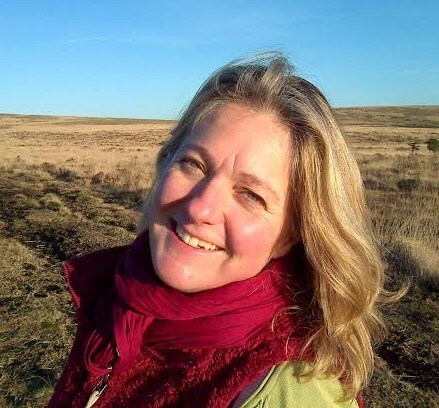 My passion for all things seasonal began over 25 years ago when I studied 5 element Acupuncture and I learnt how the seasons are inextricably linked to our health and well being throughout the year. I learnt that the 5 elements of nature; wood, fire, earth, metal and water are linked to the 5 seasons; spring, summer, late summer/harvest, autumn and winter and that over the course of a year our bodies, minds and spirits will ebb and flow with the seasons. When I later went on to study Natural Nutrition and formalise a life long ‘foodie’ passion I learnt how linking the seasonal energy to food could keep us well and aid our healing. Of course a huge part of eating with the seasons is literally eating what grows naturally in that season, for example all those gorgeous berries, strawberries, raspberries, gooseberries and loganberries are spot on for summer puddings and squashes, apples, sweetcorn, plums and courgettes are perfect harvest goodies. What I also learnt and found fascinating was how the foods that grew at each time of year matches our energy and the feeling of the season. So let me explain a bit more and take you on an ‘energetic’ food journey through the year. As Spring approaches we are starting to ‘wake up’. We are feeling less sluggish, less sleepy and we are getting ready to pop our head up out of our winter ‘bed….sort of like how I imagine a seed ‘feels’ as it begins to grow after Winter. As the sap rises many of us feel a surge of energy, you may feel like finally clearing out that cupboards, getting that job done or starting a exercise regime. In terms of food we see this dynamic purposeful energy reflected in fast growing leafy greens, lettuces, spinach and pointing shooting asparagus. These greens are invigorating and cleansing and stimulate the liver to have a spring clean. 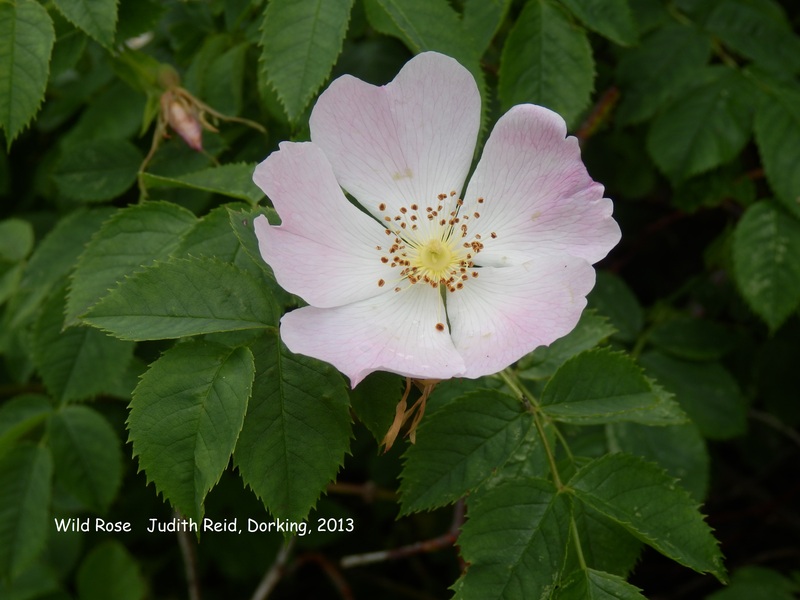 As we ‘shoot’ through spring into Summer we may feel a softer energy, there is a moment to step back, admire, reflect and perhaps refine what we started in Spring. Multi-coloured Summer is here! Passionate, sociable and fun, there is still a lot of growth but it’s much more relaxed. We see this reflected in the flowers and berries of Summer, a riot of lushness and colour and the water laden fruits and vegetables that help keep us cool. We then amble into harvest time, the balance point of the year; I always feel it has that last month of pregnancy feel, all the growth is complete just a bit of plumping out needed. There is that ‘gathering in’ feeling, contentedness and smugness as we admire what we have produced. This is reflected by the homely delights of apple and blackberry crumble, roast squash and an abundance of produce to make jams and chutneys. As we dip down into Autumn we feel the air change and our energy starts to drop. The air is cooler and we want to spend more time indoors, it is time to prepare for winter. I find that cosy feeling of drawing in and making the first autumnal soup delicious. In nature the energy is returning back down into the soil and ‘earthy’ food such as mushrooms, carrots and potatoes come into their own. Finally from Autumn we slowly roll into Winter, that deep, dark place of rest and recuperation, for nature a time to regenerate and fortify. This is also a time for us to do the same and even if we only manage a 10 minute hibernate/meditate everyday we are helping to recharge our batteries. We see this energy reflected in warming, slow cooked foods incorporating the deep slow growing ‘roots’ and frost crisped brassicas. Now we have completed the seasonal cycle you may be thinking ‘Sounds lovely but how can this help me stay healthy through the year?’ Well it is as simple as this; by eating food that is naturally ‘in season’ you will going with the natural flow and rhythms of life. The energy you will save from riding the wave of this powerful, natural energy cycle can then be used elsewhere for healing, cleansing and generally making you feel more vital and alive….as Judith says we all need to ‘Nourish to flourish’ and eating seasonally as much as we can is a great foundation for vibrant, ecstatic good health!! ENJOY those seasonal veggies!! 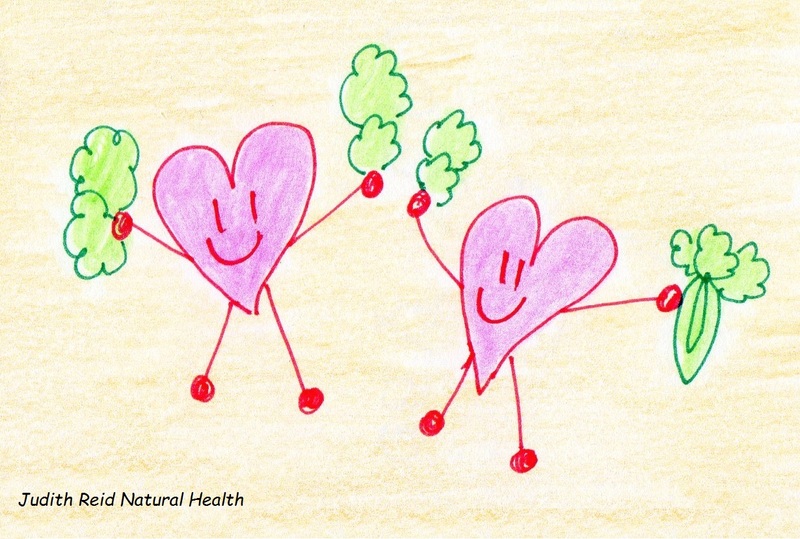 Happy Heart Cells love GREENS !!! Happy Valentine’s Day everyone ….. and what better day than to think about your Heart Cells and give them some loving!! And the answer isn’t a box of chocolates (though a bit of dark chocolate wouldn’t go amiss!) – it’s GREENS !!!! Green is the colour of the heart chakra, which is very appropriate as greens are rich in Magnesium, a mineral essential for a healthy heart and blood pressure. It also gives us energy and helps to build strong bones, not to mention helping us to relax. For any stressed bunnies out there, you gobble up Magnesium like its going out of fashion, so it’s a good idea to include lots of greens in your daily menu..
I’ve never been a great fan of milk. Memories of school milk are up there with the semolina pudding with skin that was also served …… quite frankly 100% yuk!! Free school milk was introduced shortly after WW2 to give a nutritional boost to children’s diets. Nowadays, I would suggest it gives them more a boost in a host of nasties such as antibiotics, hormones and pus ……….. mmmmm – tempting? Mother Nature designed milk as a liquid breakfast, lunch and tea for an infant of the same species, and humans are the only species that choose to drink milk from another animal and do so well past infancy!! Also part of the grand plan is that lactase, our digestive enzyme which helps us digest the milk sugar lactose, starts to decline after age 2. Hence, why a lot of people struggle with dairy after this age. When I suggest to people that they come off dairy, one of the immediate questions is “but where do I get my calcium?” Ever since we put a straw in our first bottle of school milk it has been engrained in us that calcium equals strong bones; milk contains lots of calcium; so milk must make strong bones. The stuff of myths!! One of the problems is that nowadays, most milk is pasteurised, and the very high temperatures used in this process kill the enzyme in milk (phosphatase) which is critical for the absorption of minerals such as calcium. Studies show that areas where dairy-eating is prevalent are also the very areas which suffer a high incidence of osteoporosis (bone thinning condition). There are raw-milk lovers who extol the benefits of their chosen beverage, but for me vegan is the way to go. As to where to get calcium from, ask yourself what do cows eat, and also what about elephants? They grow pretty huge with strong bones, but have you ever seen one drink a banana milkshake? I‘m guessing not!! The answer is greens. We can get plenty of calcium from plant sources. 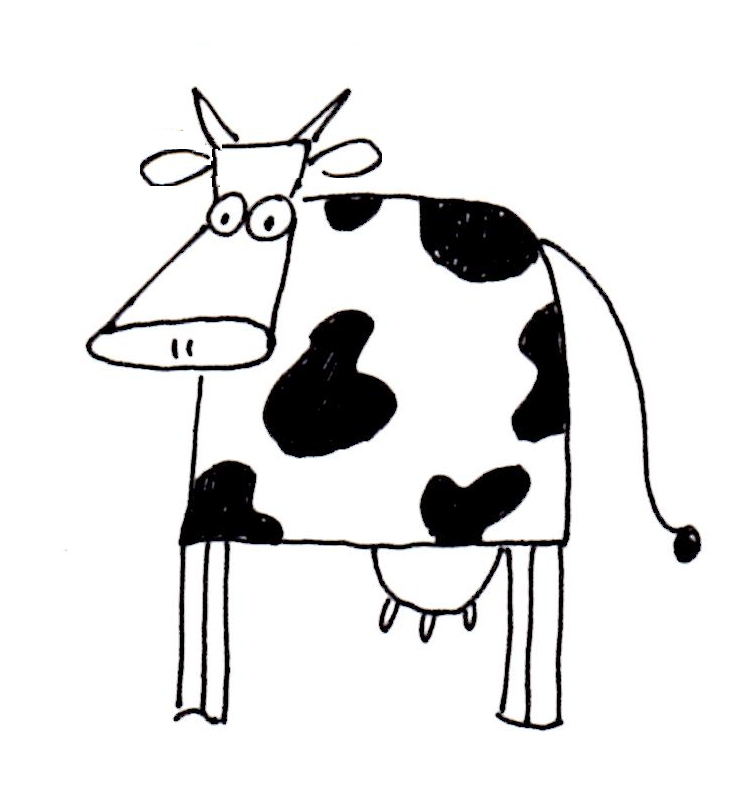 Nowadays, I enjoy nut and seed milks, which I can promise you have been nowhere near a cow. These make great alternatives to dairy and can be easily made at home. If you are just adjusting your diet and finding the whole thing overwhelming, then the good news is that most supermarkets stock alternative milks such as oat or almond. Watch out, however, for additives, but as a starter for ten, these are a great option. Once you’ve bedded in this change into your diet, you may get curious and even adventurous and start making your own. So here are a few simple pointers ………..
Soak 1 cup of nuts / seeds of your choice for about 6 hours. Discard the soak water, and rinse. If using almonds – skin. Blend: Add the nuts / seeds plus 1 pint of fresh water to the blender and whiz until broken down. You can make the milks creamier / thinner by using less / more water. Strain: Drape the milk bag over a wide mouth jug & pour the blended contents into the bag. Store: Can be stored up to 2 days in the fridge, but it is best when freshly prepared. If you want to learn more – come along to my next Demo Workshop on Juices, Smoothies and Nut Milks – see my website for details. When people think about health and illness they usually tend to think only about their physical body. Are they in pain? Are they always tired? And so on. What is rarely considered is the health of their emotions and thoughts. Our health is made up of various aspects: physical, mental, emotional and spiritual. I visualise each of these as a corner to a tetrahedron (a pyramid with a triangular bottom). When one of them is knocked off balance, it can affect the other corners too. We see this in our life. Think of having a fall and injuring yourself badly. For someone usually active, a spell convalescing can result in frustration and perhaps depression. This is a good example of where a physical imbalance can affect our emotional state. Receiving really bad news can cause some people to faint. When we are stressed, we are more susceptible to falling ill because our immune system is compromised. These are good examples of where emotional / mental imbalances can affect us physically. When we have an emotional issue, it can sometimes feel like a piece of baggage that we are carrying around 24/7 and at times it can feel quite heavy. Maybe we are worried about our job, feel guilty about something we did years ago or are afraid of something? Whilst some issues are longstanding, others are in response to our daily lives, such as suddenly feeling overwhelmed by all we have to do, or maybe losing confidence temporarily. All emotional issues, though, are energy vampires, draining us of precious energy which our cells need to nourish, cleanse and heal, and this can really undermine our general health and wellbeing, often manifesting in physical symptoms. This is why it is important to balance ourselves emotionally. By releasing an emotion, we can rebalance at all levels and thus help the healing process. There are 38 essences to choose from as well as the most well known – “Rescue Remedy” – a combination of five essences, created to help in all emergency situations. A must for any first aid kit, handbag, travel kit etc! It includes: Star of Bethlehem for shock; Rock Rose for terror and panic (when you feel like a rabbit in headlights); Cherry Plum for desperation; Impatiens for mental stress and tension; and Clematis for the faraway feeling which often precedes loss of consciousness. It is designed to relieve the immediate impact of any mental, emotional or physical shock such as bad news or an accident, as well as helping with more minor events which cause stress such as interviews, exams, dental appointments or arguments. I like Healing Herbs’ version “Five Essences”. Simply take 4 drops in a glass of water and sip frequently. Flower Essences are perfectly safe to take, and have no side effects. They are not magic bullets, so we cannot expect instant happiness, but they do help to take the charge out of something, which is particularly useful post-trauma as we are then no longer completely out of kilter and can heal more easily.